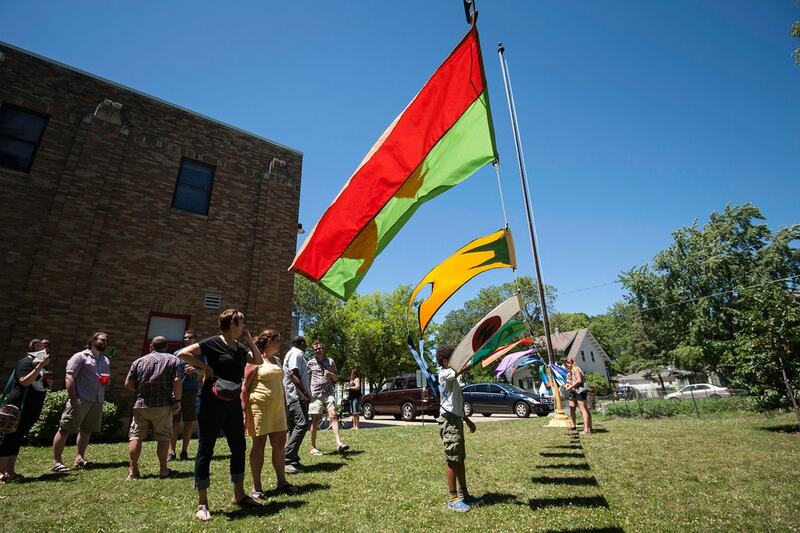 These flags were inspired by vacant flag poles in my neighborhood. 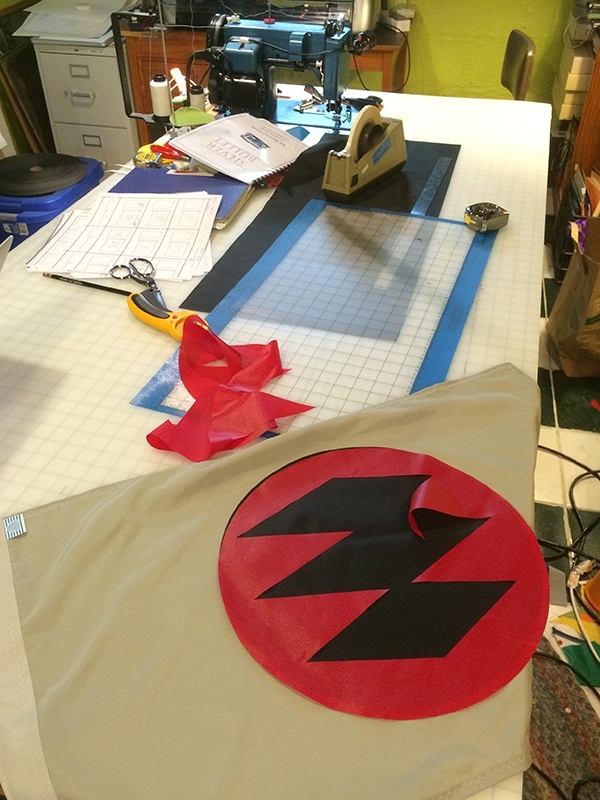 I contacted neighbors with an offer to make them a flag. 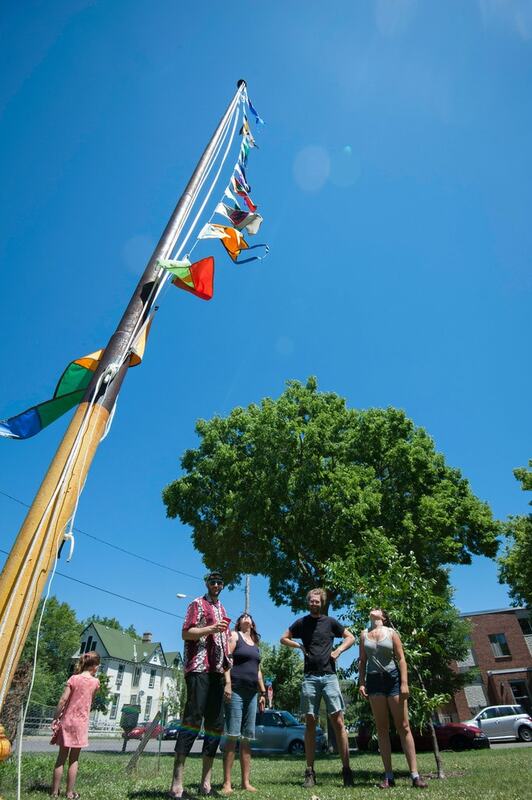 We met and the conversations led to an abstract flag portrait, importantly, it gave me an excuse to meet neighbors I would not otherwise have a chance to know. 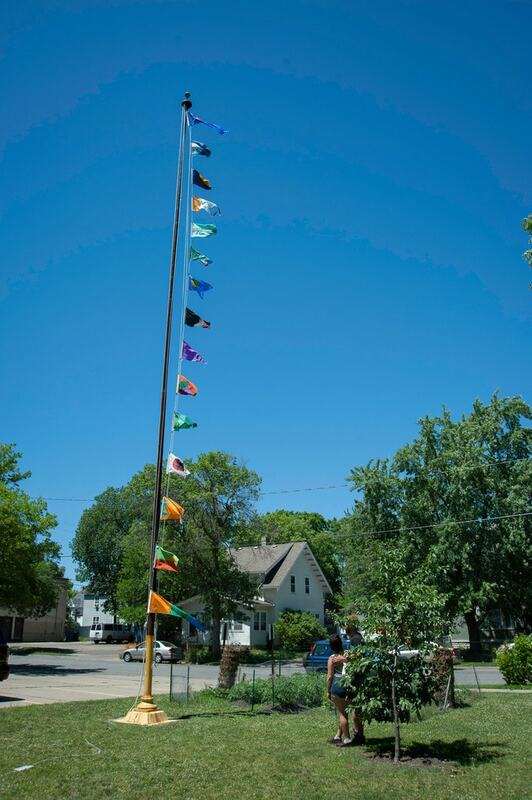 The flags flew here for a month and then were dispersed back into the neighborhood to fly on the owner’s house. 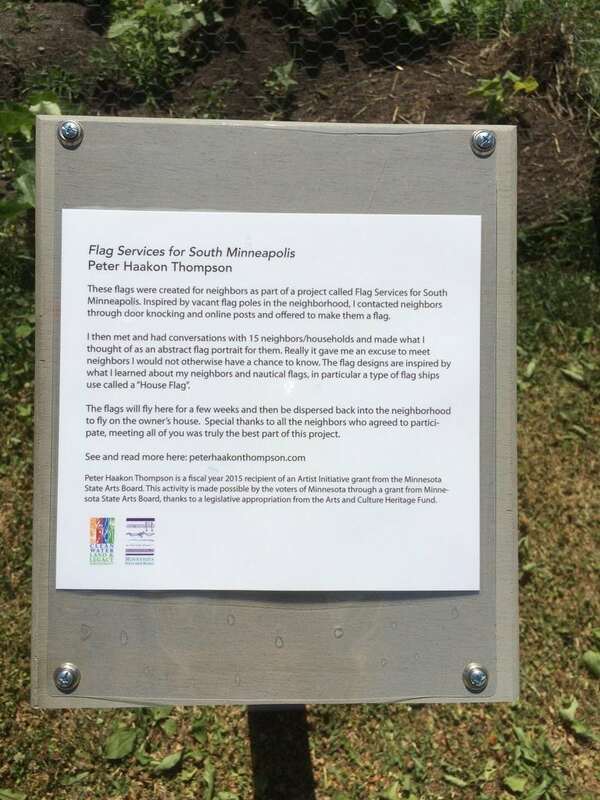 These flags were created for neighbors as part of a project called Flag Services for South Minneapolis. 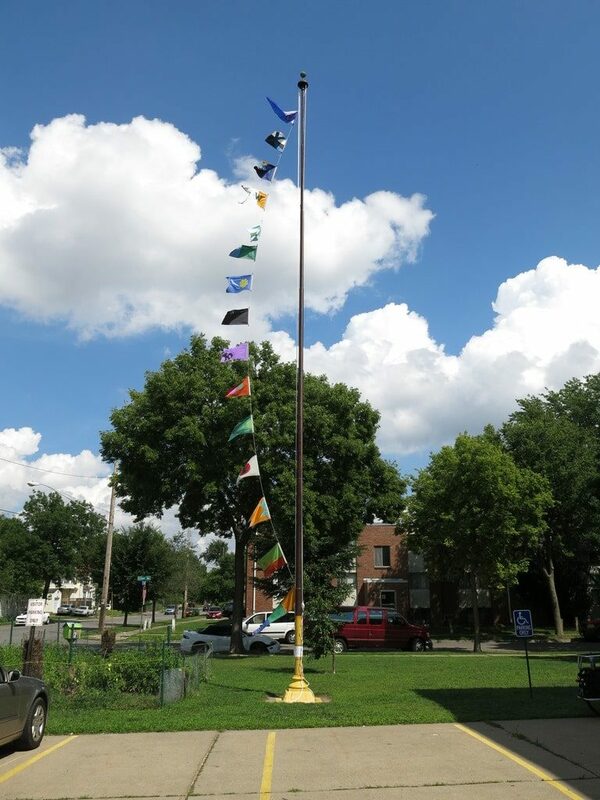 Inspired by vacant flag poles in the neighborhood, I contacted neighbors through door knocking and online posts and offered to make them a flag. 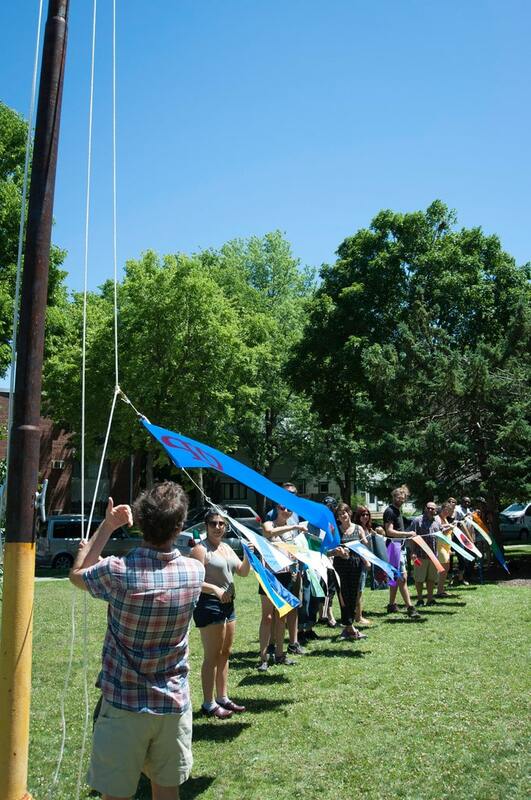 I then met and had conversations with 15 neighbors/households and made what I thought of as an abstract flag portrait for them. 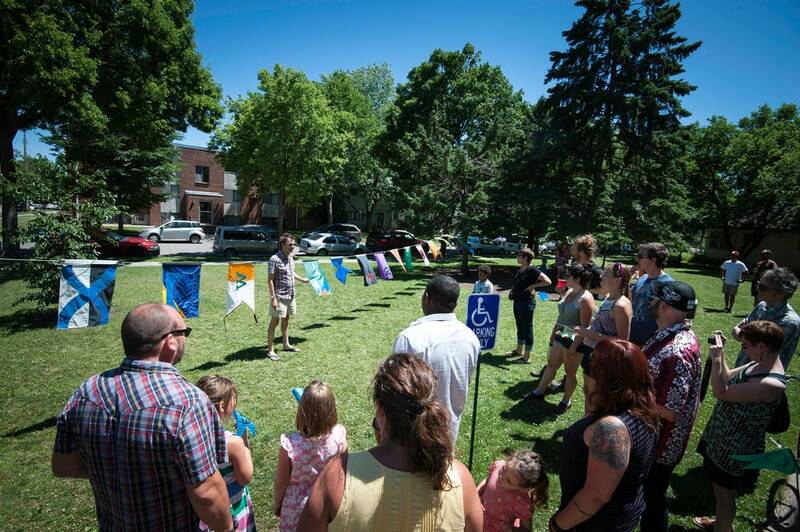 Really it gave me an excuse to meet neighbors I would not otherwise have a chance to meet and know. 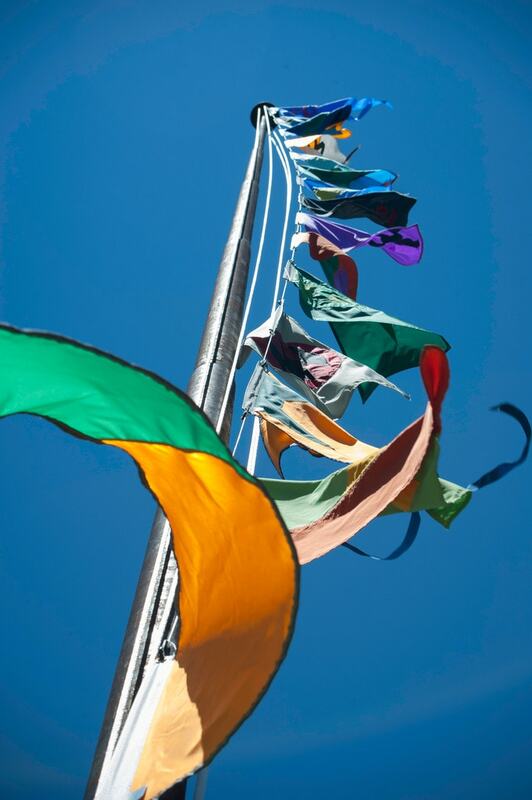 The flags are inspired by what I learned of my neighbors and nautical flags, in particular a type of flag ships use called a “House Flag”. 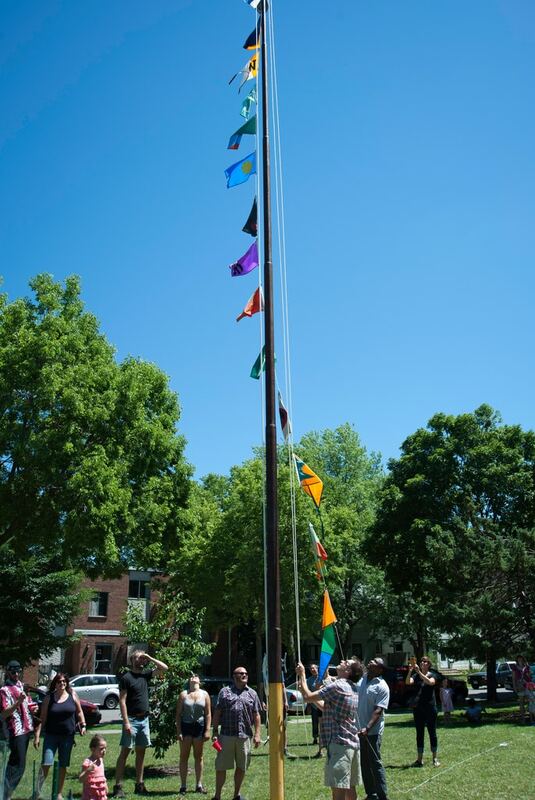 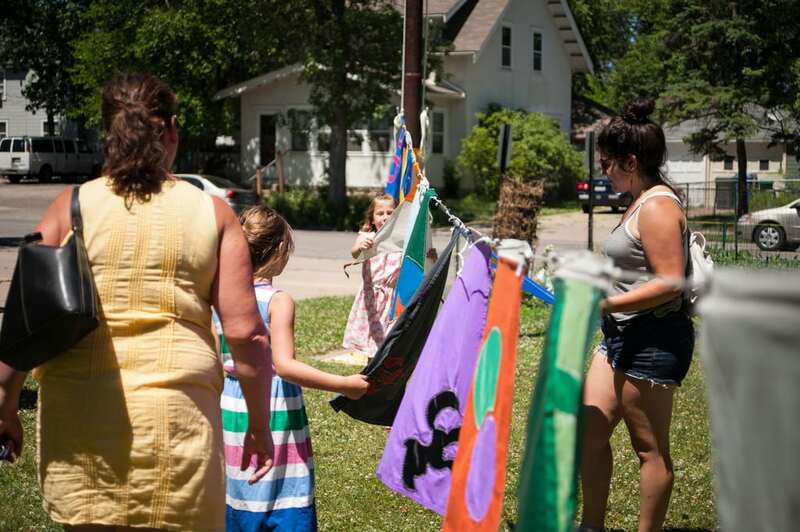 The flags flew here on the pole in front of the Powderhorn Park Neighborhood Association for a few weeks and then were dispersed back into the neighborhood to fly on the owner’s house.